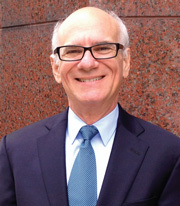 Brian C. Perlin, Esq. | The Law Office of Brian C. Perlin, P.A. Brian C. Perlin is the founder and sole principal in the Law Office of Brian C. Perlin, P.A. Recognizing the powerful combination of a first-class education in both the financial and legal worlds, Mr. Perlin attained his Bachelor of Business Administration degree in accounting from the University of Miami and his Juris Doctorate from the University of Miami School of Law. After refining his skills as an Estate Tax Specialist at Northern Trust Bank of Florida, Mr. Perlin became an associate in the Law Firm of Carlos and Abbot in 1983. While at Carlos and Abbot, Mr. Perlin specialized in estate planning and probate matters. In December 1984, Mr. Perlin established his own law firm in Coral Gables, Florida, where it has remained for over 30 years. Brian C. Perlin has honed his expertise by preparing over 4,000 estate plans and administering over 600 estates. Not only is Mr. Perlin Florida Bar Board Certified in Wills, Trusts & Estate Law as well as Florida Bar Board Certified in Elder Law, he is also a Certified Public Accountant and a Certified Financial Planner™ Professional. He is a member of the Real Property, Probate and Trust Law Section of the Florida Bar. Mr. Perlin merits outstanding reviews from his clients, his peers and industry organizations; this is reflected most recently in 2016, when he was awarded the AV Preeminent® 5.0 out of 5.0 Peer Review RatingTM by Martindale-Hubbell®. His client-based AVVO rating is a ‘Superb’ 10.0 out of 10.0, reflecting his high ethical standards and professional ability. His membership in the ElderCounsel and WealthCounsel organizations demonstrates leadership in the field of Elder Law, Special Needs Law, Charitable and Wealth Planning. A widely acclaimed speaker and seminar leader in the areas of estate planning and asset protection, Mr. Perlin has spoken before numerous organizations as well as to the general public. A longtime Miami resident, Mr. Perlin lives in downtown Miami with his wife, Wendy. He has two adult children, Natalie and Andrew. A few years ago, he underwent quite a change in his habits! He became a devotee of healthy living, adopting a vegan diet and a vigorous exercise routine. One thing that has remain unchanged? His enjoyment of Starbucks coffee and watching reruns of House M.D.and Breaking Bad. 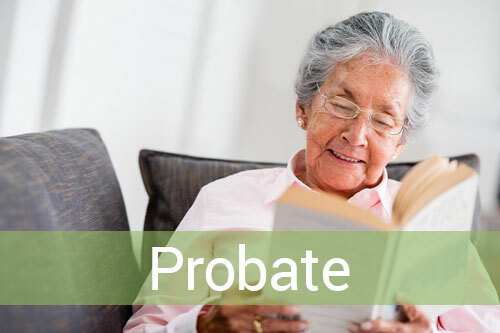 Probate is one manner in which estate assets are transferred after death. Since probate can be a lengthy, costly and public process, many people choose to avoid it. Without proper probate avoidance planning, the state will require a probate court proceeding for state residents or those who owned assets in the state. During probate, assets are managed, debts are paid, tax returns are filed along with various court documents, and the estate assets are distributed. In the absence of any planning to the contrary, your estate will be distributed according to Florida's laws of intestacy. This so-called "default" estate plan might not reflect your wishes. However, if you do plan in advance, you can have your estate administered according to your preferences. 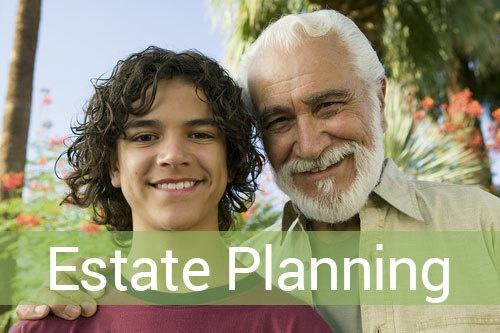 A comprehensive estate plan may include a Last Will and Testament, Trusts, Powers of Attorney, Advance Directives and Health Care Documents, all supporting your legal, personal, investment and tax planning purposes. As our population ages, more and more people will confront elder law-related issues. 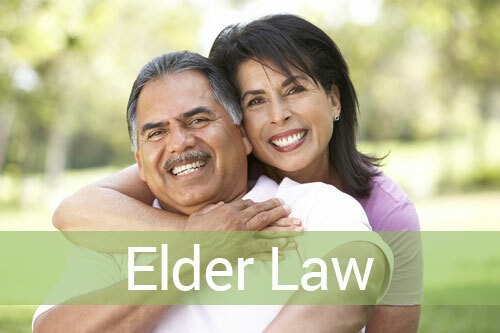 Elder law is an aspect of estate planning that focuses primarily on the changing needs of people as they age. Careful planning can help you avoid spending down your assets on long-term care. Issues include senior housing and home care, long-term care, or nursing home care, guardianships, health care documents, Medicare planning, and Medicaid planning. South Florida Estate Planning Attorney Brian C. Perlin, assists clients with Estate Planning, Elder Law, Probate Court, Probate & Estate Administration, Long-Term Care, Medicaid Planning, Veterans Benefits, Charitable Planning, Special Needs Planning, Estate Tax Planning, Business Succession and Asset Protection, in the cities of Miami, Coral Gables, and Kendal, Florida, and the surrounding areas.